NGC7331 Galaxy at approximately 50 million light years away is in the constellation Pegasus. It is near in the sky to several other galaxies and is known as part of the Deerlick group. 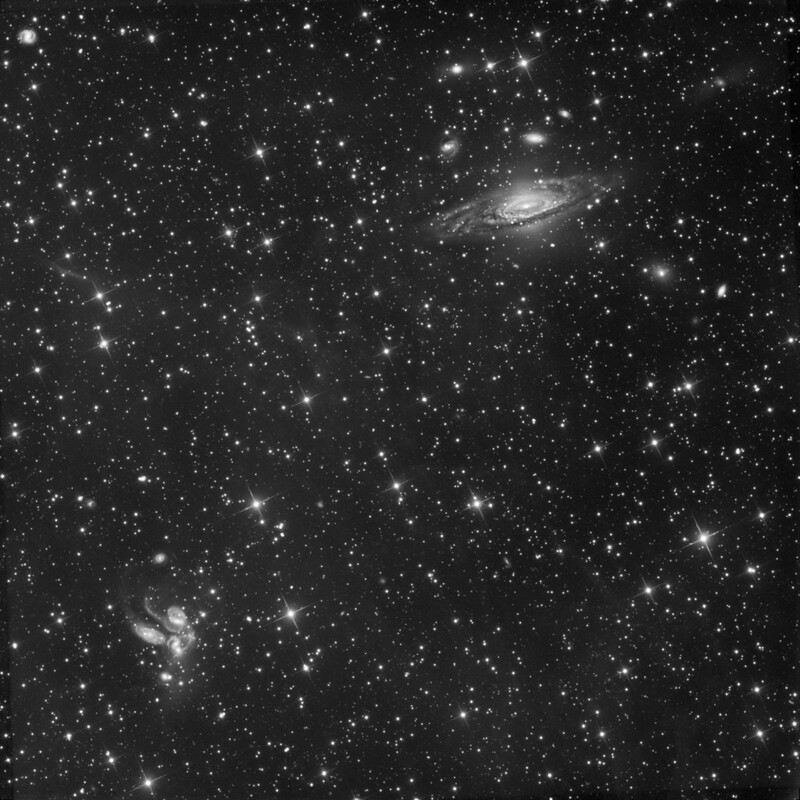 They are only in the same area of the sky and the smaller galaxies in the photo are really much father away than NGC7331. 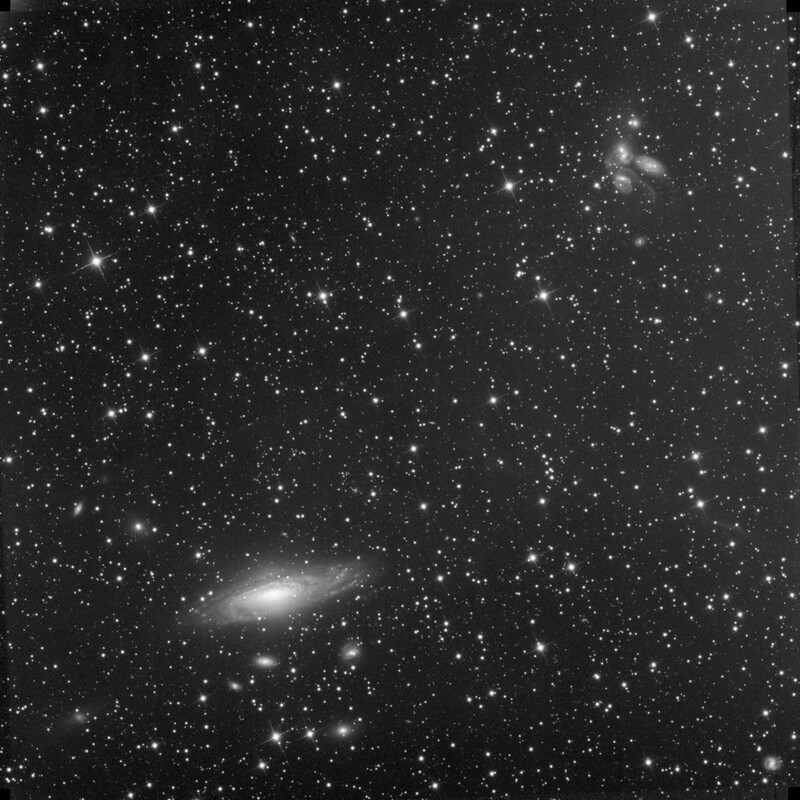 The visuial grouping of these galaxies is known ad the Deer Lick Group. Stephan’s Quintet is a visual grouping of five galaxies of which four form the first compact galaxy group ever discovered. 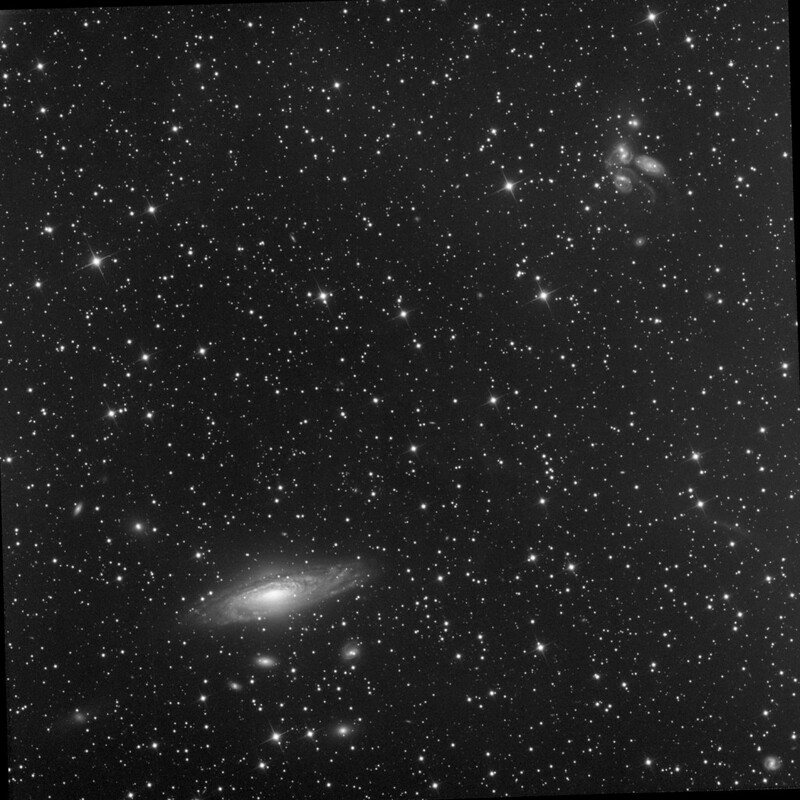 The group was discovered by Édouard Stephan in 1877 at Marseille Observatory. The group is the most studied of all the compact galaxy groups. 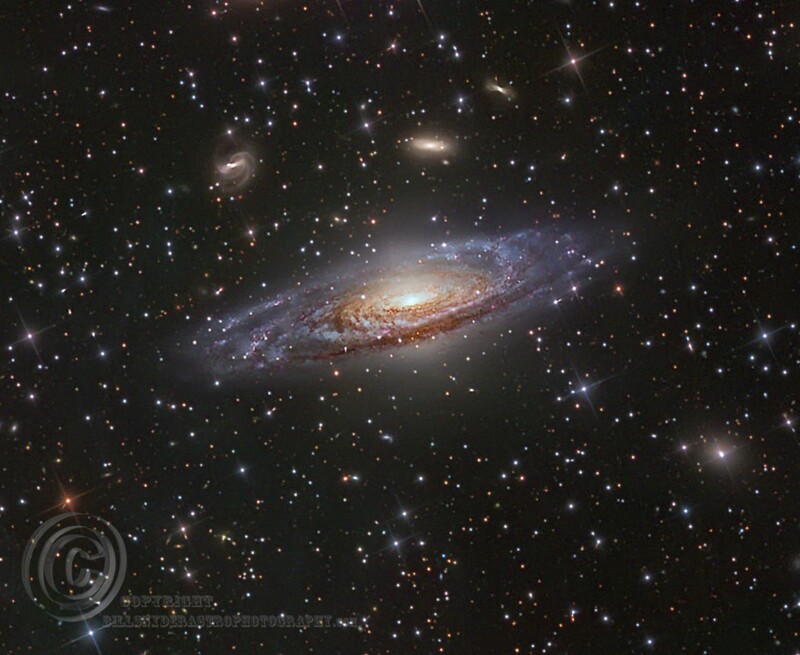 This galaxy group is located about 280 million light years from Earth. 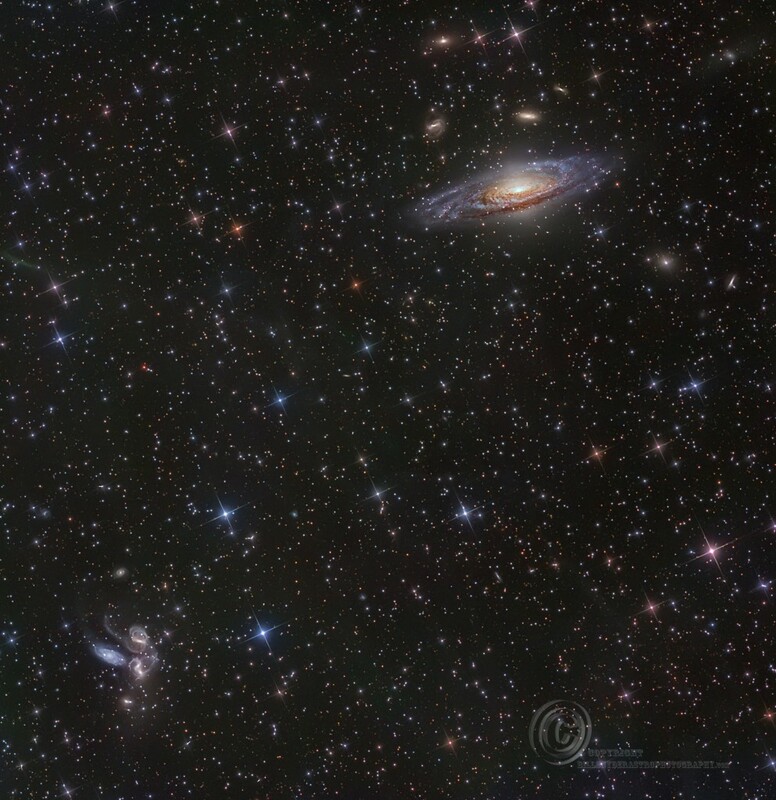 The brightest member of the visual grouping is NGC 7320. These galaxies are of interest because of their violent collisions. 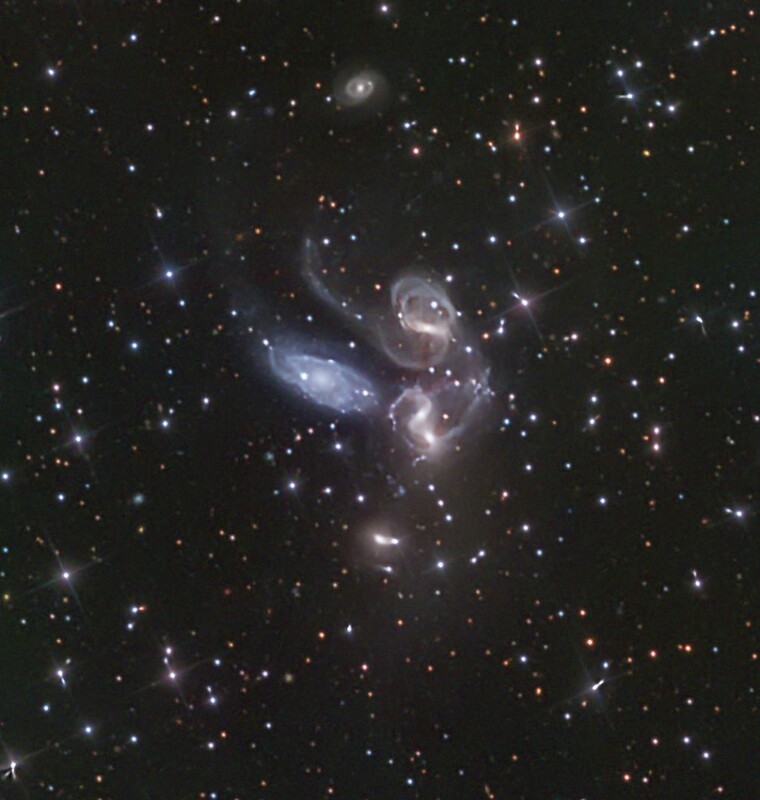 Four of the five galaxies in Stephan’s Quintet form a physical association, called Hickson Compact Group 92, and are involved in a cosmic dance that most likely will end with the galaxies merging. (Information from Wikipedia) There location in relationship to NGC7331 is in the full image below. 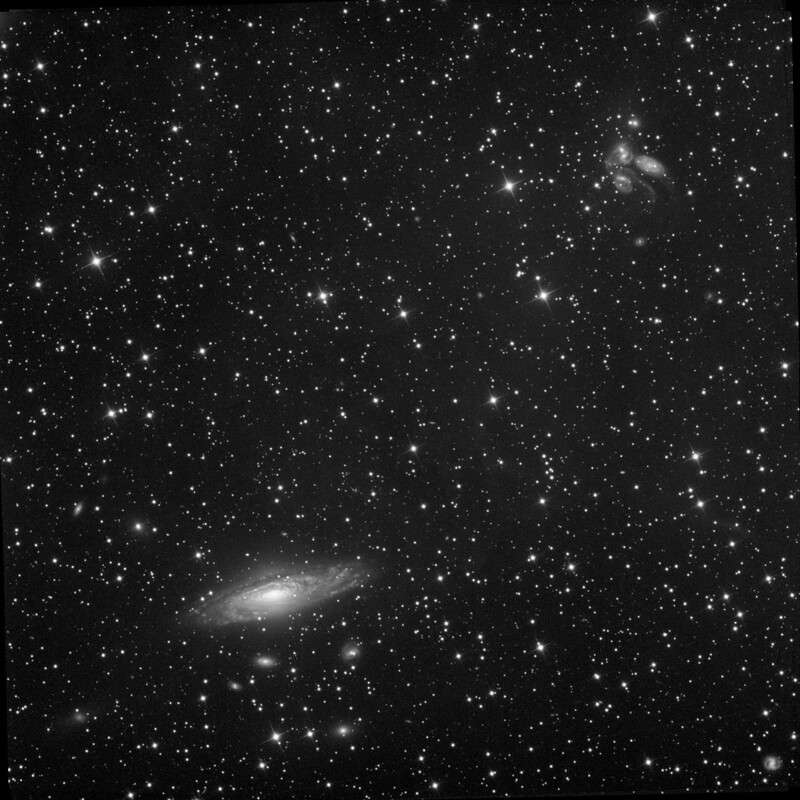 NGC 7331 full frame image (not fullsize) This is the total area captured by the telescope and CCD camera.